What Is The Difference Between Hydroseeding and Hydromulching? 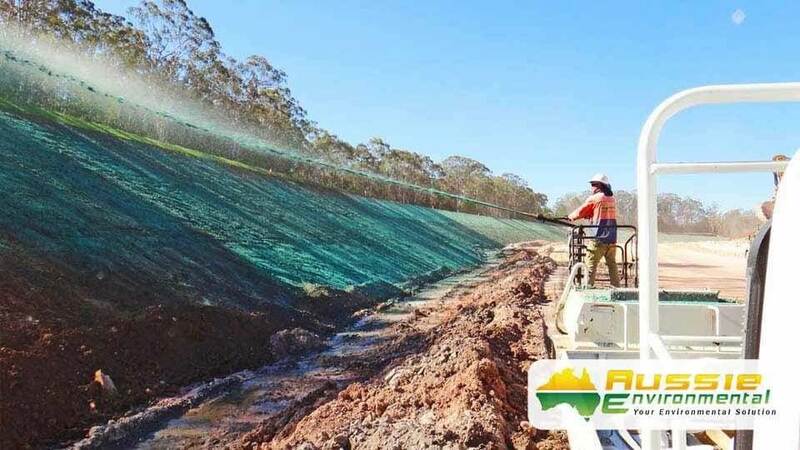 Whether you are looking to revegetate cleared land on residential property, a construction site project or are preparing a mine site sustainability plan, you’ve probably heard the terms ‘hydroseeding’ and ‘hydromulching’ as you research an effective rehabilitation or revegetation strategy. Hydroseeding and hydromulching are both efficient and effective alternatives to traditional planting processes, such as hand seeding, drill seeding and sod applications. Both methods are more economical than laying turf, they can reach rough terrain or otherwise inaccessible areas such as high grade slopes, and produce thicker, healthier vegetation that binds with the ground surface soil to effectively protect and prevent against erosion. Hydromulch is a formulation of organic mulch fibres, a slurry of seeds, fertiliser, water and a binding agent known as a tackifier, which is applied to the area to be revegetated using specialised broadcasting machinery, with the media being sprayed directly onto the surface. The mulch acts as a cover for the seed, helping it to retain moisture for faster germination and growth, while protecting the soil from erosion and the seeds from washing away in a rain event. Hydromulching has proven to be very effective for the fast re-establishment and revegetation of large land areas, and commercial and constructions sites, and is especially effective on hillsides and high grade slopes, with immediate and effective erosion control and fast planting benefits. Like hydromulch, hydroseed consists of a mixture of water, seed and fertiliser which is broadcast/sprayed onto the area to be revegetated, however, unlike hydromulch, it contains no wood fibre mulch, and therefore has no capacity for erosion control. Applied the same as hydromulch, hydroseeding uses water as a carrier to spray seed and fertiliser onto the seedbed. Specially designed hydroseeding machinery allows the operator to agitate the hydroseed mixture to ensure even and constant mixing of ingredients so that the designated area is evenly covered and without sparse or patchy spots. The hydroseed mix is sprayed using hoses which makes it an effective way of distributing seed and fertiliser, especially for large or hard-to-reach areas where alternative seeding methods aren’t easily accomplished. Hydroseeding has become a popular and cost-effective alternative to traditional forms of establishing grasses and other vegetation over large areas with seed, such as broadcast and drill seeding. Quicker and easier to install than traditional seeding methods. Typically cheaper than laying turf or hand seeding. Retains moisture to support faster vegetation growth. Completely safe, non-toxic and environmentally friendly seeding methods. 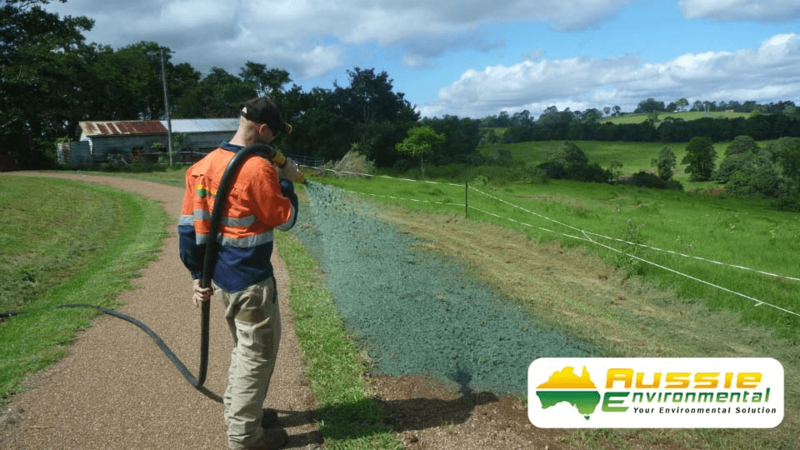 Hydroseeding is only suitable for broadcasting grass and other seeds, but is not recommended when coverage is required in dry or harsh conditions. It is recommended that hydromulching is carried out in preference to hydroseeding alone. Hydromulching helps maintain moisture around the seed, decreasing seed mortality rates through the protective nature of the mulch, which accelerates growth and germination rates. 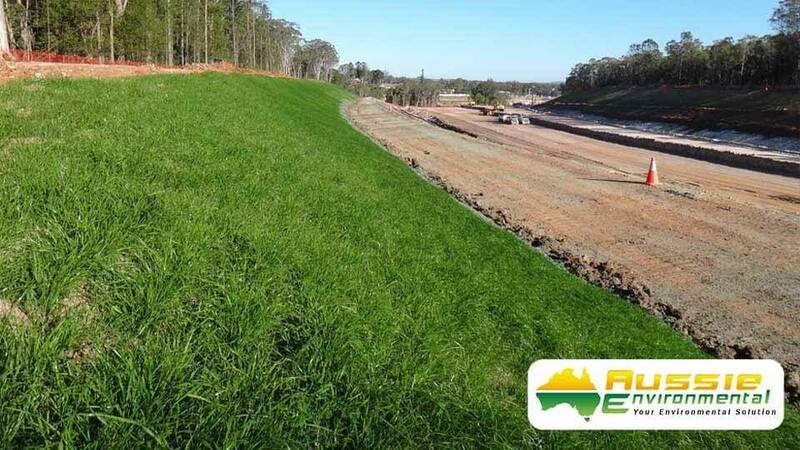 Aussie Environmental provide hydromulching and hydroseeding services, click the button for more information. Can’t find the information you’re looking for? Let us know and we can assist you with your needs.